The Volksmarine or People's Navy was the official designation of the maritime forces of the German Democratic Republic (GDR). It was tasked to serve as a forward naval and amphibious transport component of the Warsaw Pact Fleet in the Baltic Sea. It was part of the National People's Army, established in 1956. Soon after the end of World War II the Soviet Union and the beginning of the Cold War initiated the rearming of its satellite state in East Germany. This included the gradual formation of maritime forces. Beginning in 1950, Soviet naval officers helped to establish the Hauptverwaltung Seepolizei (Main Administration Sea Police), which was renamed Volkspolizei-See (VP-See) (People's Police - Sea) on 1 July 1952. At the same time parts of the erstwhile maritime police were reorganized into the new Grenzpolizei-See (Border Police - Sea), to guard the sea frontiers, and incorporated into the Deutsche Grenzpolizei (German Border Police) that had been set up in 1946. By 1952 the VP-See is estimated to have numbered some 8,000 personnel. On 1 March 1956, East Germany formally created its Nationale Volksarmee (NVA) (National People's Army), and the VP-See became the Verwaltung Seestreitkräfte der NVA (Maritime Forces Administration of the NVA) with a strength of about 10,000 men. In November 1960, these maritime forces of the National People's Army were officially designated Volksmarine (People's Navy). Over the next years the navy gradually received a number of new ships, mostly built in East Germany. Only the coastal protection ships and some of the fast torpedo boats were provided by the Soviet Union, as were all helicopters, and some auxiliary craft were purchased from Poland. Following the building of the Berlin Wall on 13 August 1961 the Grenzbrigade Küste der Grenzpolizei (GBK) (Coastal Border Brigade of the Border Police) was incorporated into the People's Navy. With the reorganization of 1965; all attack forces, including, the fast torpedo boats, were combined into a single flotilla (the 6th Flotilla) and stationed on the Bug peninsula of the island of Rügen. In the 1970s the People's Navy had grown to about 18,000 men. In the 1980s some of the ships were replaced and the People's Navy acquired Soviet-built fighter-bombers. 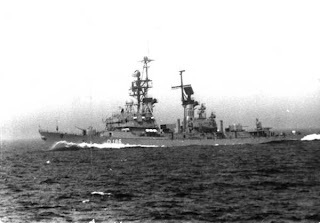 In 1988, the People's Navy had brief hostile confrontations with Polish naval forces over a maritime border dispute; in subsequent negotiations about two thirds of the disputed maritime area were allocated to the GDR. The People's Navy was dissolved, like all other branches of the former National People's Army, on 2 October 1990 the day before the official reunification of Germany. Some of its staff was assumed into the Bundesmarine (which was henceforth called Deutsche Marine), some by the German Border Police. Most of the ships and other equipment were scrapped or sold. The People's Navy was operationally incorporated into the United Baltic Sea Fleets of the Warsaw Pact states. 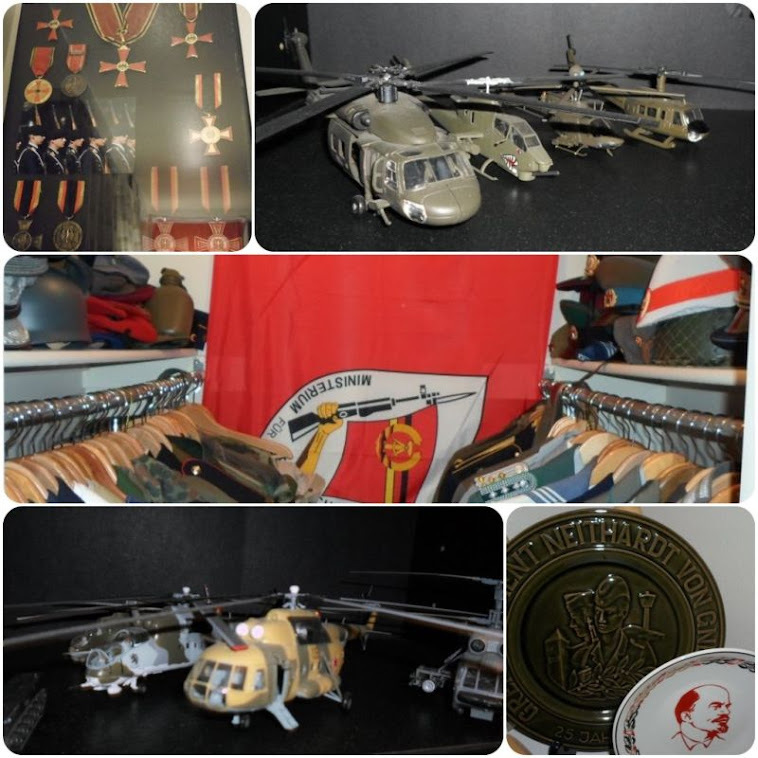 Its designated area of operations was the Baltic Sea and the entrances to the Baltic Sea. Its task was to keep the sea lanes open for Soviet reinforcements and to participate in offensive actions against the coasts of hostile nations in the Baltic Sea. For these purposes, it was equipped with light forces such as anti-submarine ships, fast torpedo boats, minesweepers as well as landing craft. Routine duty was heavily focused on extensive reconnaissance activities, carried out mainly by the minesweepers and specialized electronic surveillance boats. The 6th Border Brigade (Coast) had a special responsibility concerning the prevention of Republikflucht ("Desertion from the Republic"). With effect from 1 November 1961 it was subordinated to the People's Navy. It had a substantial number of small patrol boats and surveillance posts along the coast, and its task was to prevent anyone from leaving the GDR without official exit permission. The Grenzbrigadeküste (Coastal Border Patrol) maintained a force of about 2,750 sailors, out of the Navy's total complement of 16,300. Included 8 patrol boat groups and land units for patrol of littoral regions. It's personnel wore standard Navy uniforms, with unit-distinctive insignia. The People's Navy was equipped with a number of vessels of varying displacement including frigates, Amphibious Landing Craft, Minelayers and minesweepers, Fast torpedo and missile boats, Coastal defense ships, Submarine hunters, Intelligence ships, Training ships, & Support craft. The Naval Aviation Branch was tasked to provide tactical air support for joint fleet operations with the Soviet Navy, including anti-submarine warfare. It maintained pilots and ground crews for 1 squadron of jet fighter-bombers and 2 squadron of helicopters. It's personnel wore Navy dark blue tunics with unit-distinctive insignia. The Volksmarine maintained a force of about 16,300 sailors of which about 50% were draftees. Officers and petty officers wore dark blue gabardine tunics with gold (brass) anchor-design buttons and dark blue unpiped trousers. Lower enlisted men wore a variety of blue and white outfits, determined by season and type of duty.